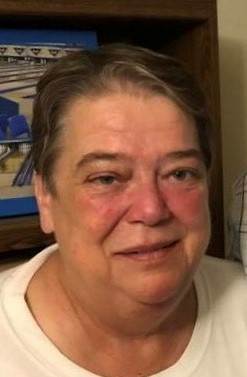 Barbara A. Sonnier, 66 of Farmington, passed away November 24, 2018. She was born December 19, 1951 in Stamford, Connecticut, to Wilson and Phyllis Foster. Barbara was a P.E. teacher in Cimarron, N.M. after graduating college, she was a manager for "Top of the World Ranch" in Questa, N.M. Eventually Barbara settled in Bloomfield where she started to create her endless network of friends and found her passion for bowling. As an avid bowler her accomplishments were; WIBC Board Committees to merge WIBC and ABC, now known as USBC, USBC National Board of Directors,and was inducted to the Bowling Hall of Fame. Barbara was a sports lover, particularly for Denver Broncos. She went to Connie Mack games yearly, 20 years with her father, even after his passing. Barbara is preceded in death by both her parents Wilson and Phyllis Foster. She is survived by her daughter Samantha and her spouse Antonio, and grandchildren AvyAnne and Tabyr. A special thanks to Sheri Cook, Charlotte Gray, and family, Bonnie Rung, and Lana Hebert for the never ending love and support. There will be a memorial service on Saturday, December 1, 2018 at 4:00pm. at Timberline Church in Aztec with Pastor Scott Morrison officiating. Memorials/donations may be made to NWNMUSBC, memo to youth program 2601 E. Main St. Farmington, NM 87401. Barbara's care has been entrusted to Farmington Funeral Home, 2111 W. Apache St. in Farmington. For those who wish to express their condolences can do so at www.farmingtonfuneral.com.